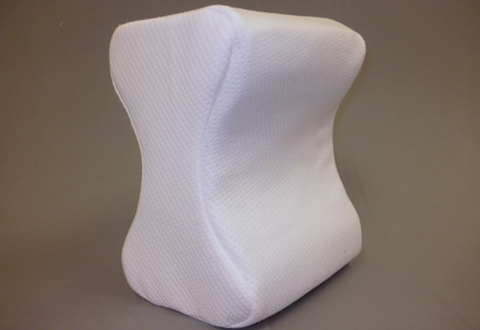 The Cooling Foam Leg Pillow is the ultimate alignment pillow for side sleepers. This unique pillow has a dual-layer design for unsurpassed comfort. 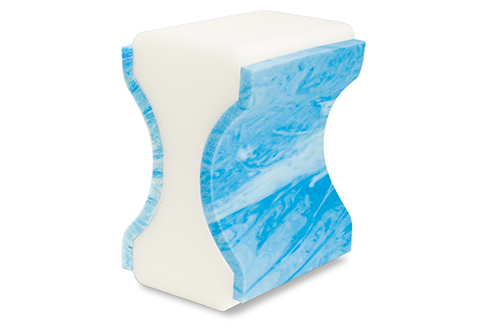 The inner core holds its shape for stability and support, while the "memory gel" outer layer stays cool as it conforms to your legs and knees. 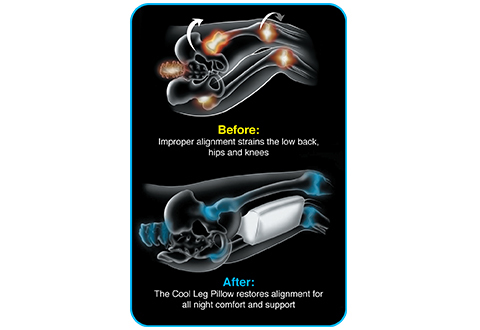 The Cooling Foam Leg Pillow stabilizes your pelvis and aligns your back, hips and knees for a better night’s sleep. Includes a soft, velour cover that can be removed for machine washing. The Cooling Foam Leg Pillow is the ultimate alignment pillow for side sleepers. It features a dual-layer design that keeps your body cool as it aligns the back and hips.